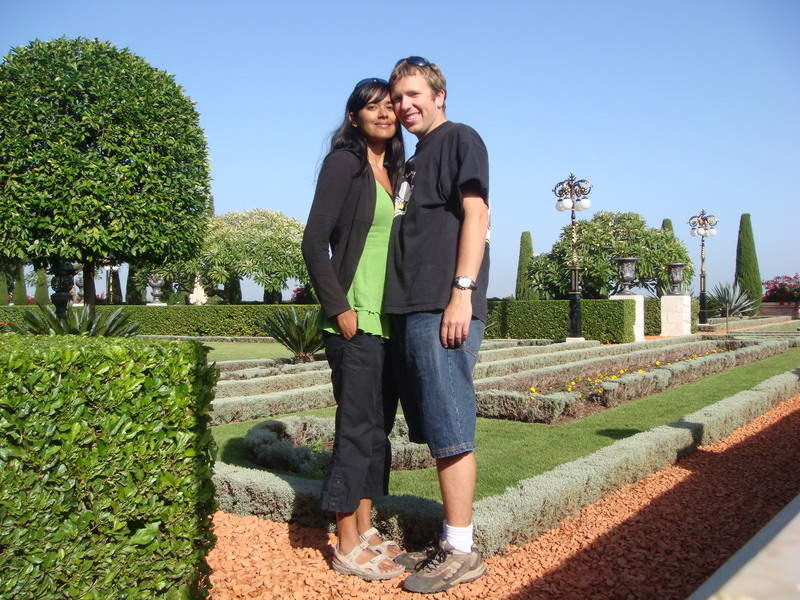 We specifically visited Haifa, the largest city in northern Israel, to visit the Bahai Gardens. Also known as the Hanging Gardens of Haifa, these gardens are stunningly beautiful. 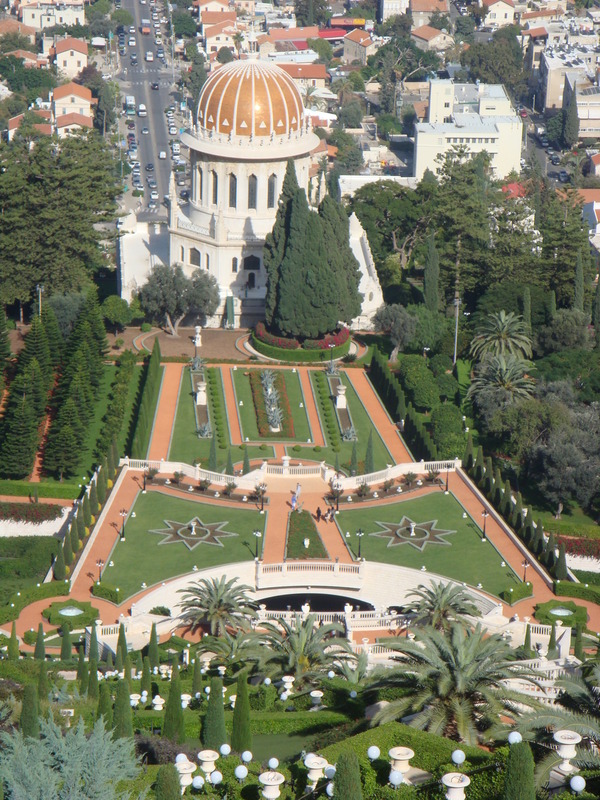 At its center stands a domed shrine dedicated to the Bab, the resting place of the Prophet-Herald of the Bahai faith. 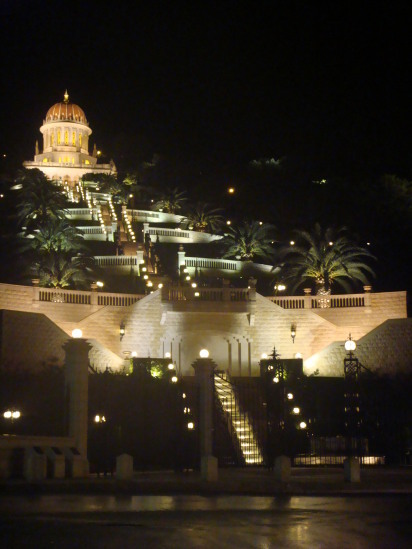 From the shrine, there are nineteen terraces with stairs extending up the northern slope of Mount Carmel. Beautifully manicured trees and hedges, among colorful flowers and graveled pathways can be found throughout the gardens. The gardens provide an excellent view of the city below and the vast Mediterranean Sea. The gardens are also worth visiting in the evening. 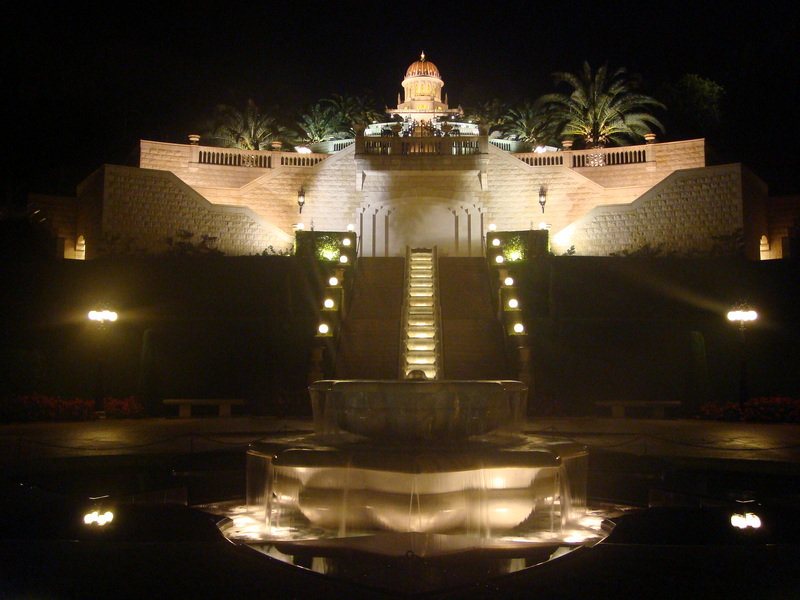 The lights and fountains add to the beauty of the gardens. We ended up visiting the Bahai Gardens twice because they were so gorgeous. 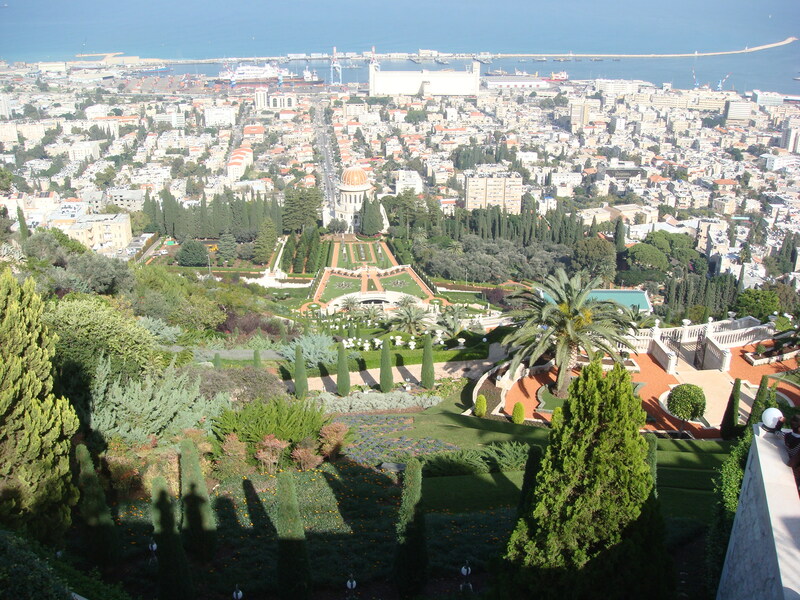 A trip to Haifa, just to see these gardens is worth it. 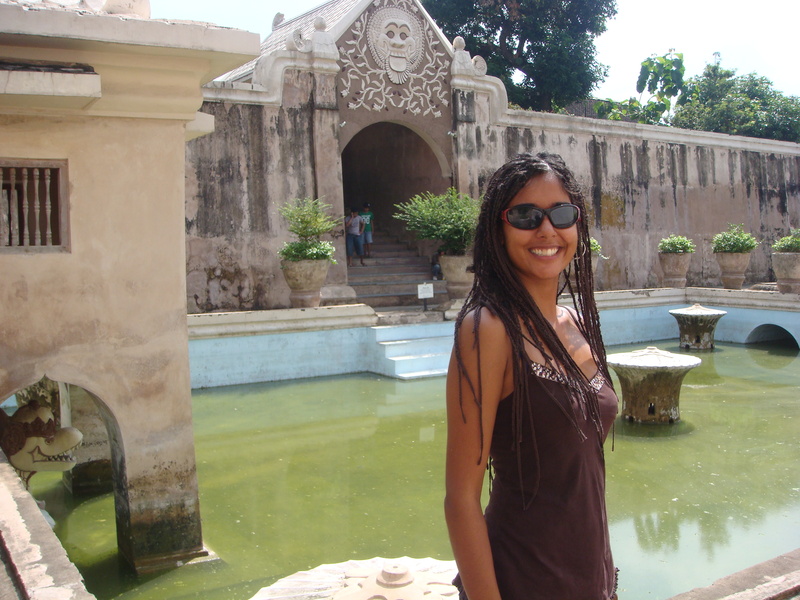 These were some of the best gardens we have seen during our travels. While in Israel, we decided it would be fun to float in the Dead Sea! The Dead Sea is actually a lake that lies between Jordan and Israel/Palestine. This body of water contains so much salt that it is not possible for any living creature to survive in it. However, for humans swimming and floating in the Dead Sea is not harmful. In fact, due to the high salt levels, people can float easily in the water. 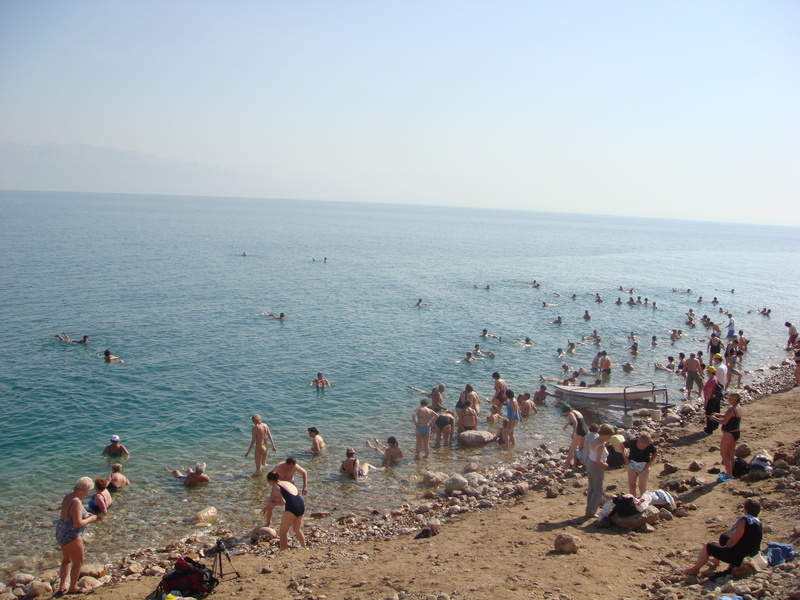 The Dead Sea has also become very popular among the locals and tourists due to the water’s healing properties. Apparently, it is the composition of the salts and minerals in the water that provide various health benefits to the body. 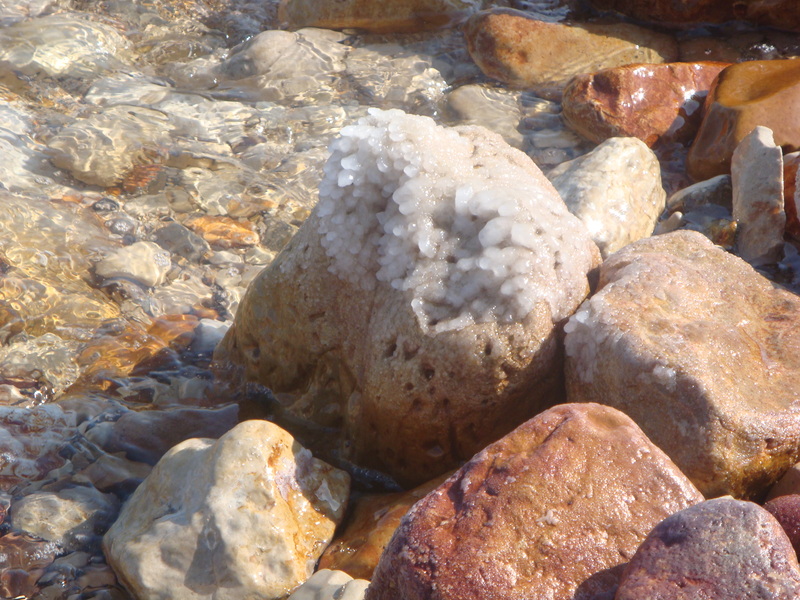 There were many rocks, like this one, that had collected salt. I was incredibly excited to experience what it would be feel like to float effortlessly in the world’s deepest hypersaline lake. We were advised to wear sunglasses in order to avoid getting the salty water into our eyes. We stayed in the Dead Sea for a couple of hours, just relaxing and floating around. The feeling of being unsinkable in such a vast and deep lake was amazing! 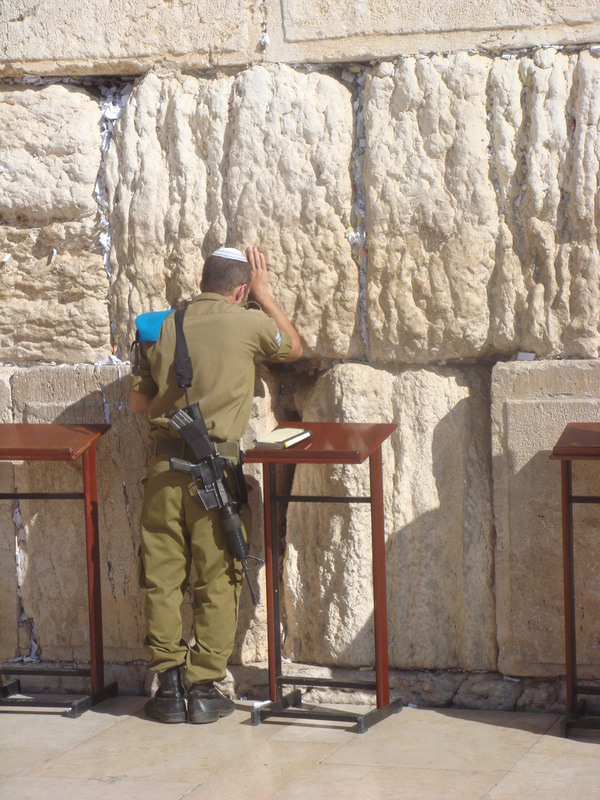 An Israeli soldier, prays at the Wailing Wall in Jerusalem, Israel. 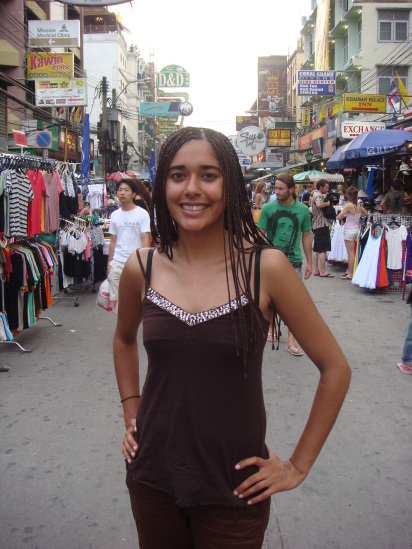 It was also a common sight to see very young soldiers with weapons casually walking around the city. 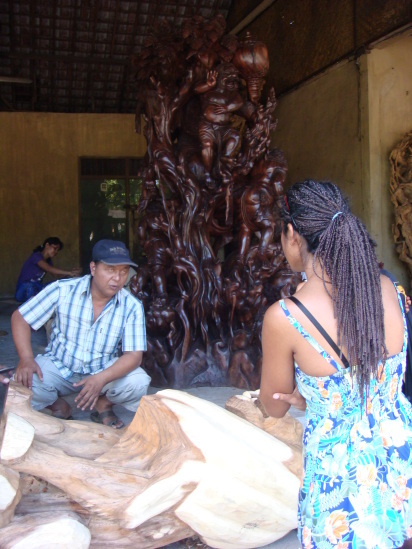 It created a very disturbing and uncomfortable feeling for me. 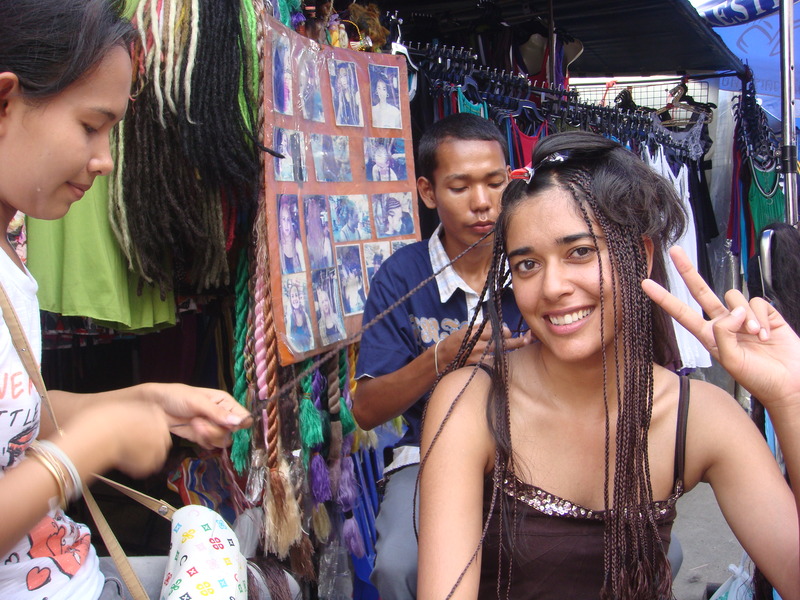 Perhaps, it was due to the presence of Israeli soldiers, I am not sure, but I could definitely sense the tension in the air as I wandered through the streets of Jerusalem. 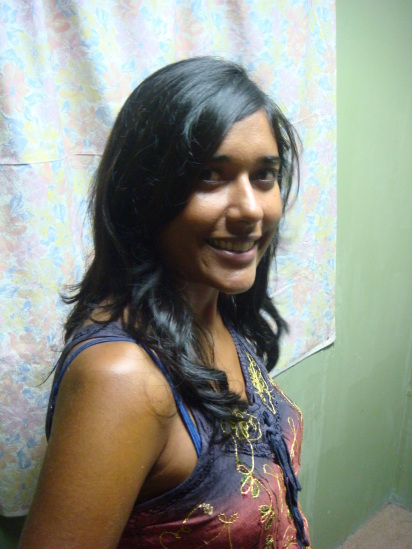 Now, this was back in 2009. Today, with the all the unrest happening in Jerusalem, I could only imagine the chaos and tension in the city. What are your views on the recent violent uprisings in Jerusalem?